Large crowds came into Pinner from surrounding area's to celebrate the annual Pinner Pantomime 2018. 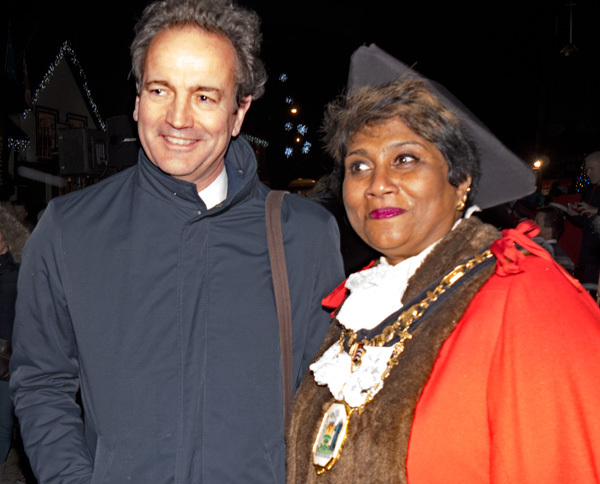 Pictured is local MP Nick Hurd with The Worshipful The Mayor, Councillor Kareema Marikar. Local Businesses competed for the "Best Dressed Window" and "Best Pantomime Costumes"
Local charities were also in attendance together with fairground rides for all the family. Entertainment was provided by many schools including Reddiford School, Nower Hill, Pinner Park, West Lodge Primary school and Pinner Wood School. Also performing were Pinner Theatre Dance, Grimsdyke band, Phillipa Leigh & The Choir at Brooks.The evening concluded with a fabulous Fireworks display.